As a part of our continued efforts to maintain the highest security standards on the DNAnexus Platform, we will deprecate support of TLS 1.0 and TLS 1.1 on October 15th, 2017. We have been communicating this proposed change, and most of the customers and users have upgraded. If you are a user that still has programs or processes using TLS 1.0 or 1.1 when interfacing with the DNAnexus Platform you will need to take a few simple steps to upgrade. Please follow the instructions below to upgrade to TLS 1.2. 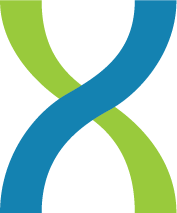 If you are impacted, please make the necessary modifications by October 15th, 2017 in order to maintain continued access to DNAnexus. Please do not hesitate to contact support@dnanexus.com with any questions or concerns.